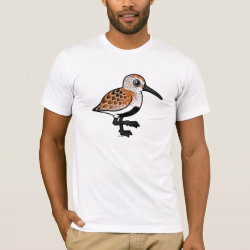 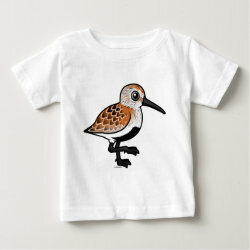 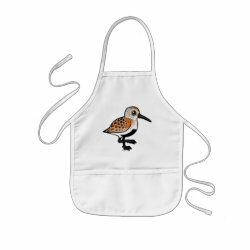 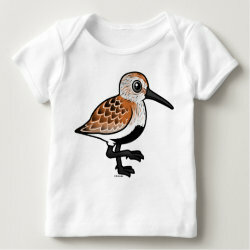 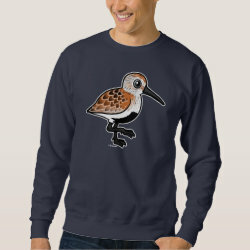 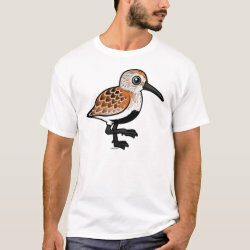 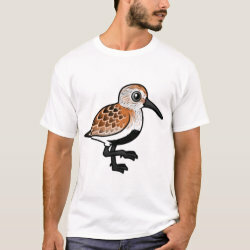 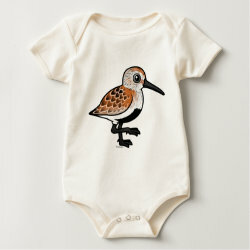 The Dunlin is a medium-sized sandpiper (also known as a shorebird, or a wader) that lives across much of the northern hemisphere. 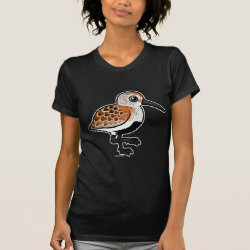 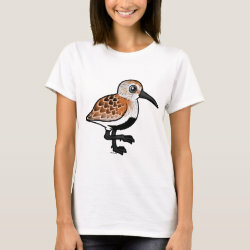 They are common shorebirds for many birders around the world. 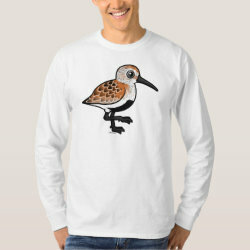 Like many other wading birds, more... they display different plumage in breeding season versus winter. 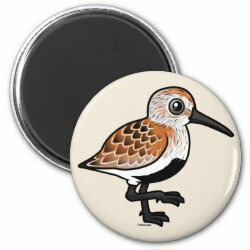 Our cute Birdorable Dunlin is shown here in full breeding plumage, including the conspicuous black belly patch. 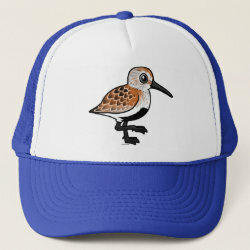 Dunlins are gregarious outside of breeding season, and will form large flocks on coastal mudlfats or beaches. 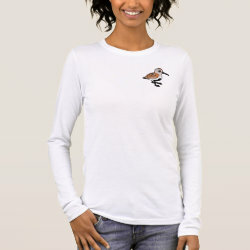 They feed on insects, mollusks, worms and crustaceans. 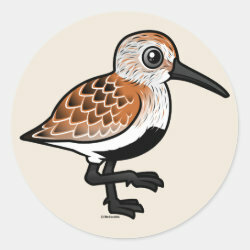 This is our totally cute Birdorable Dunlin, in breeding plumage!